David Tua (52-4-2) is in training to fight the gigantic Russian Alexander Ustinov (28-1). The IBF has Ustinov ranked at seven the WBA ten. Tua’s career is on last chance lane a decade removed from fighting a world class opponent in Hasim Rahman. Tua’s much storied litigation against former manager Kevin Barry put his career on hold and he has only managed to pull the pig skins on twelve times in the last decade and that intermittency – it goes without saying – has not served his career well. With Tua’s mental space preoccupied with both his legal mire and the following financial hole he has found himself in his focus has been askew. Over the years Tua has offered philosophical assurances that he is back and ready to fight, but that sentiment was only evident in totality in 2009 when he blew Shane Cameron out of the water in two destructive rounds. Whether Tua admits it or not he full well understands this is his last run at being a legitimate contender. At 41 years of age Tua has to align all the little things that make the big things happen. Those little things are in short getting focused, staying focused, dieting and in getting in the gym and putting sweat on the board’s day in day out, week in week out and month in month out. It is committing to and sticking to the repetition of training that will ultimately determine where Tua’s mind set is at. His management team – Duco – have employed the services of famed fitness trainer Lee Parore, Parore’s role quite simple, to get Tua in the same condition he got him in when he fought Shane Cameron. Duco have also brought in Australian trainer Dave Hedgecock, Hedgecock best known for his work with long time middleweight contender Sam Soliman. The word is, is that Tua and Hedgecock have formed a workable rapport. Hedgecock will be fully aware that what Tua does well is take a shot, throw one of the best left hooks in the business and is fearless in his approach. Hedgecock will also be cognisant of the fact that at 41 years of age Tua’s punch out put won’t be the same as when he was twenty one. He will also know Tua’s legendary shock absorbers that have shook off the punches of Lennox Lewis, Hasim Rahman, Ike Beabuchi and Michael Moorer aren’t issued with a life time guarantee and a shot or accumulative shots from a giant like Ustinov can hasten their expiration date. Tua even with Lee Parore in camp winding up his fitness levels will have to be more judicious in his approach. Outstanding fitness at 41 years of age is a different beast to the same physical condition at 21 years of age. The best comparative I can draw is the more modern the car the more mileage you get to the gallon and that’s not to say Tua can no longer do outstanding things, he just won’t be to them at the same clip and as often. Traditionally Tua has struggled against taller heavyweights so the bridging the length and height gap against a fighter he is giving away 10 inches in height to will be nothing new to him and as always the equation for Tua will be simple – eat a lot of jabs in looking to land a left hook, land it, hurt Ustinov, marry it with a right hand and get him out of there. But can Tua return to the 1990s where that primal equation served him so well? 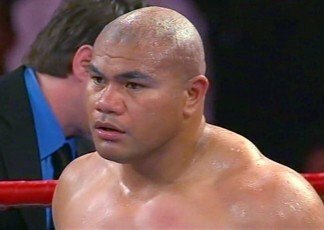 When all is said and done that will be the principle question of this fight…how much does a 2013 David Tua have left to give the game he has given so much to?